Road trips are possibly my favourite way to travel; you get to see so much more of the landscape than if you fly everywhere and I find that cities tend to look the same after a while. To be able to drive down the west coast of the USA and see lush greenery and snow-capped mountains turning first into farm land and then into a more arid landscape complete with mesas is pretty awesome. Also, California is full of eucalyptus trees, which reminds us of home and smell amazing, as well. In my opinion, road trips are also the easiest type of holiday to take while on a low FODMAP diet, as you can really be in control of your food if you plan ahead and pack an Eski (cooler) with sufficient supplies. I am a list maker, so is my sister. It’s something we’ve always done, as we’re OCD control freaks who can’t bear to be disorganised. Plus, it’s fun. Luckily for me, Ev is the same… although he hates packing his own bag. But he’s not the one with FM, so that’s not such a big deal. Being a list maker means that I like to plan each leg of the road trip with hours and distances and town names. This is good, as it will help you with step 2. Another way to make step 2 easier (well, the act of eating at the restaurants that you’ve researched) is to call ahead or go armed with a list of foods that you CAN EAT (make sure it’s labelled clearly, so you don’t get a plate of onions sauteed with apples on whole wheat toast) to make both your life and those of the wait staff and cooks much easier. Before you go out to dinner, you would find online menus or call the restaurant you’re thinking about going to and see if they can provide a meal for you; travelling is no different. The key to a relaxed holiday (and gut!) is planning. I know lots of people who like to wing it – I have never been one of them – but a “we’ll find something, don’t worry” attitude is more likely to lead you to either an irritated or hungry gut later on if you are following a FODMAP friendly diet. Either before you leave home, or each day of your trip (if you have internet connectivity), scout out a few potential cafes and restaurants and note their locations with regards to your itinerary. What town will you be driving through at lunch time? Does the town you plan to spend the night at have a restaurant or supermarket that you can source meals from? To reiterate – PLAN AHEAD. Restaurants that already cater to other dietary requirements (gluten free, vegan, nut free etc) will generally be more likely to be able to create a meal for you. Fast food chains can still provide salads – just request no dressing or croutons etc – and hot chips/fries will do in a pinch, as long as they’re suited to other non-FODMAP issues you might have. Choose simple meals that require minimal alterations to be suitable – it’s both ridiculous and rude to think they’ll be able to make you an onion free lasagne but to whip up a salad sans onion and dressing is much easier and many restaurants make their salads as ordered, anyway. Don’t forget about supermarkets, as you can always find gluten free breads/crackers, cheese and suitable veggies etc to fill your stomach. Busier restaurants will find it harder to tailor a meal to you, so eat at quiet times, even if that does mean sitting down to dinner before 6 pm. 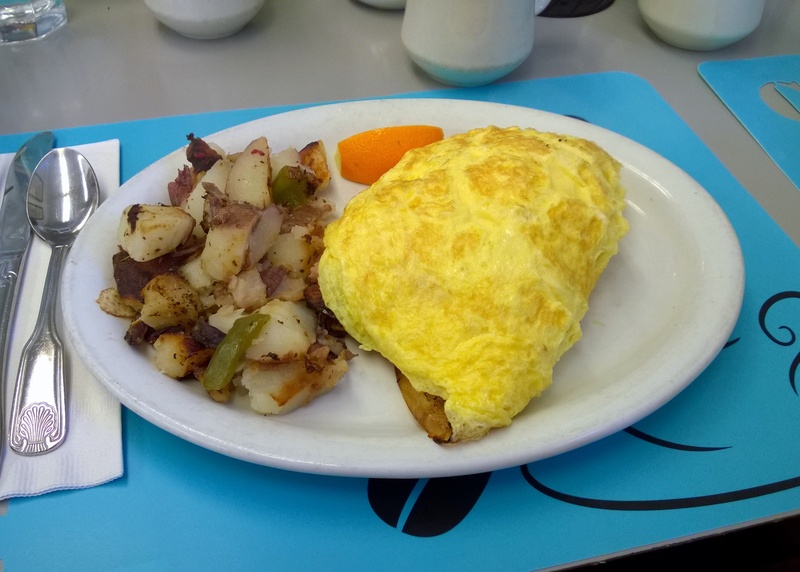 Breakfast – an omelette with potatoes and green capsicum. 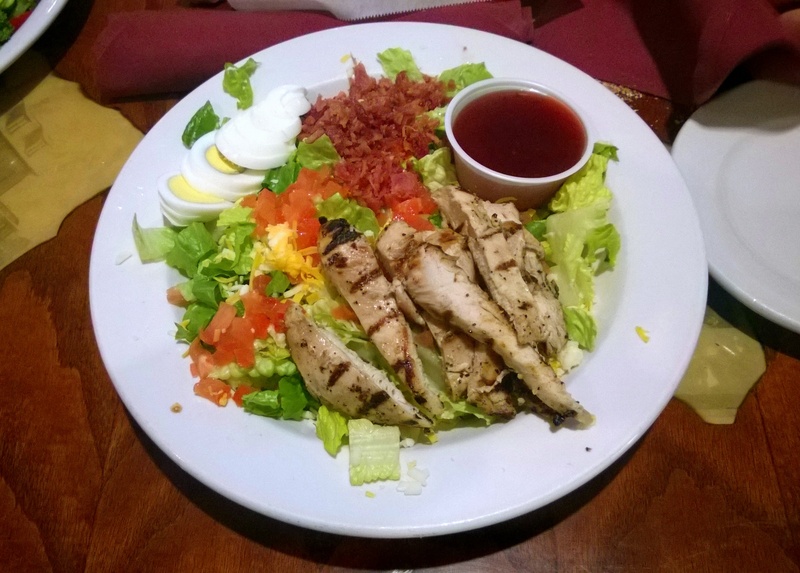 Dinner – a chicken salad sans croutons and dressing on the side. If you’re driving down a deserted highway and you can’t find anywhere to eat, things can get ugly; this is true even if you don’t have a food intolerance. I tend to become very irritable when I’m hungry (more like a 6 year old than a 26 year old) and I’m sure I’m not pleasant to be around when I’m like that. In fact, even when we’re not road tripping, Ev will tell me to eat something if I’m beginning to get grumpy. A variety of foods for different meal times – I know I wouldn’t want a tin of tuna for breakfast but would be happy to eat it any time after lunch. Non-perishable foods (or at least foods that will keep for a few days outside the fridge) are best. Easily digestible foods that won’t tax your gut too much. Pack the food in an Eski/cooler/freezer bag/car fridge (whatever you’d like to call it) to prevent any mishaps of food left in a car on a hot day. Besides going hungry if your food has gone off, it’s also a waste of money. FODMAP friendly veggies of your choice, such as carrot sticks, celery (if you can tolerate polyols), cucumber etc. FODMAP friendly fruits, to a lesser extent, such as bananas and berries. These will need to be kept in a hard case, as they’ll bruise easily while travelling. Muffins, as sometimes a piece of fruit or a carrot stick just isn’t enough. Some good options include my banana nut or pumpkin and chive muffins. Pre-packaged snacks, such as corn chips, rice cakes or gluten free pretzels. Suitable GF or sourdough bread and sandwich fillings, such as ham, cheese, lettuce and tomato, or even just jam and Vegemite (though never together!). Even the most diligent planning can’t prevent a slip up here or there. A waiter might not take your request seriously, or simply misunderstand you; or you might sneak a food in and hope that your FM has gone on holiday elsewhere. Go prepared with a kit containing methods you know will help to alleviate your symptoms. Paracetamol (acetaminophen in the USA) – ibuprofen is a known gastric irritant, so I personally don’t take it. I’m not recommending that you do take paracetamol but it’s my preferred method of choice for helping to ease intense cramps, which aren’t fun even when you’re not on holiday. At home I might try another method first (such as water or tea) but when I’m away from home I’ll go straight to the Panadol. Dextrose – to help offset any excess fructose that you may have ingested, swallowing dextrose (glucose-glucose) ASAP will help to even out the glucose/fructose ratio and potentially prevent a reaction. This all depends on how much fructose you consumed, how much glucose you followed it with and your gut’s own behaviour. Any supplements that you take, so for me this would include my probiotic and multivitamin. For you it may include digestive enzymes, ACV, bicarb soda etc. Any other methods that you can take with you that is feasibly going to be useful in case of a reaction. For example, I will often drink tea with ginger, lemon and mint to help settle my gut but am I always going to have access to a kettle? Something along the lines of Buscopan or Beano would be more suitable for a road trip but I do not recommend relying on a product you haven’t tested before to stop a reaction unless you have no other choice. Buscopan (etc) might help some with IBS but it might not help at all or even worsen your symptoms. Wet wipes/baby wipes, in case of an emergency cleaning situation. This sounds like a lot and if it overwhelms you, I’m sorry. 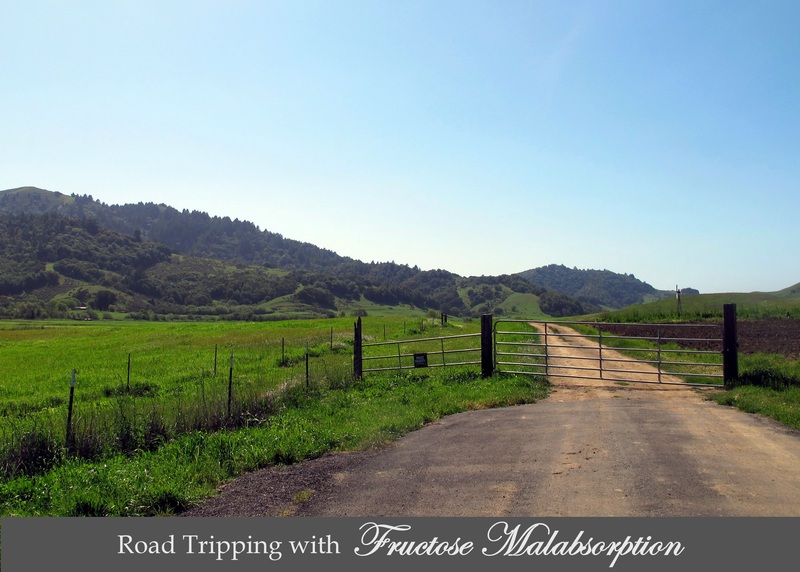 Just please remember that you can still enjoy a road trip while on the low FODMAP diet with some extra planning; just like road tripping with kids or dogs… but we still do that! If you have any other tips that I have forgotten, please let me know in the comments section below. Happy holidaying! So let’s have beans at every meal! Before I say anything else I will say this, and then repeat it below; beans are legumes and contain galactooligosaccharides (GOS) – which is why they’re the musical fruit. GOS, however, are not fructans. If you are following a complete FODMAPs diet then this dish won’t be suitable but those who can tolerate GOS (galactans) in moderate amounts can give this a go. Okay, now on with the show. I know I’ve said many times before that it’s Autumn and cold and that I want comfort food but I’ll say it again… and this time I needed it. I normally have a great immune system but since I had gastritis in July this year and then we went vegetarian for two months, since scaled back to pescetarian, I have had three whopping, terrible colds and bacterial sinusitis as well. 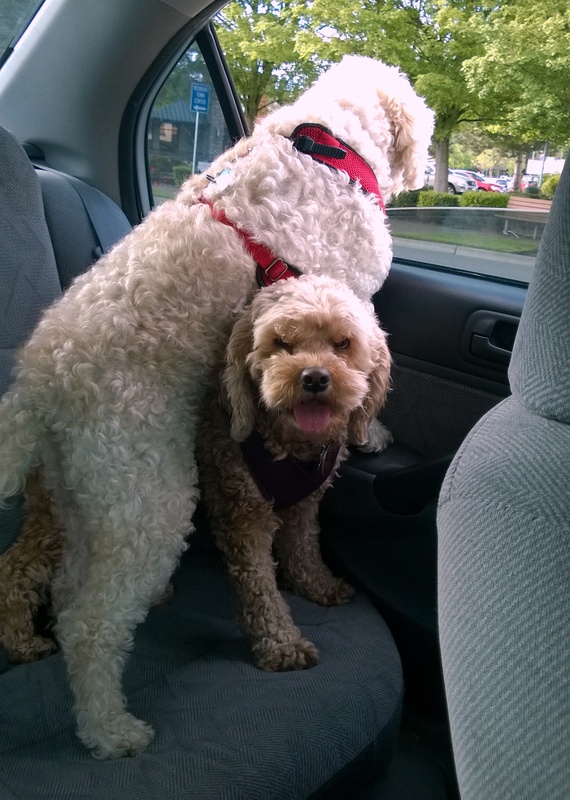 The sinusitis was inevitable, considering my family history but I have never felt so drained in my life – I went to the gym today for the first time in two weeks, a week ago I got dizzy walking the dogs for 2 km. Completely abnormal. Aside from finally visiting our doctor, I’ve actually brought red meat back into my diet a couple of times a week to try and increase my iron levels (fatigue can indicate low iron) even though they’ve always been perfect before. Iron supplements can be a little hard on the GI tract, so be careful if you’re looking into taking them. As I’ve mentioned before, Ev and I are attempting to eat through as much of our food as possible before we buy more to both prevent wastage and to get rid of things that we bought and didn’t use. It’s going pretty well; after this meal we only have a can of refried beans, three cans of peas and 3 cans of raspberries in syrup left – and a hell of a lot of cheese. I think dinners are going to become ever more basic until we’re done from here on in. 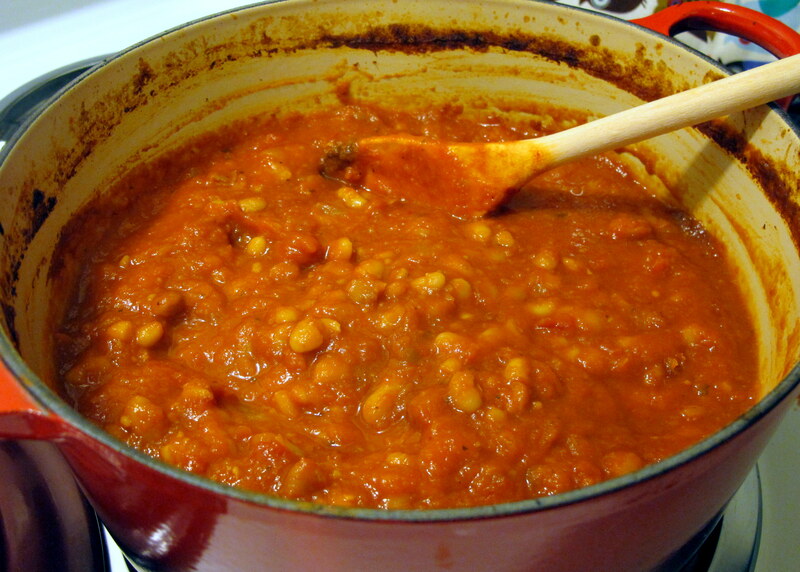 Beans are legumes, which are high in the FODMAP galactans. They are not high in fructans or fructose, so I can tolerate them. Many people have increased tolerance of beans if they are the dry variety and have been soaked for a day or two in water before use. This might be worth a try if you cannot tolerate the canned variety. Tomatoes are high in salicylates and can be an irritant to IBS, though they are not naturally high in fructose, the more processing and condensing that they have gone through, the more concentrated the sugars, and thus the fructose, will be. 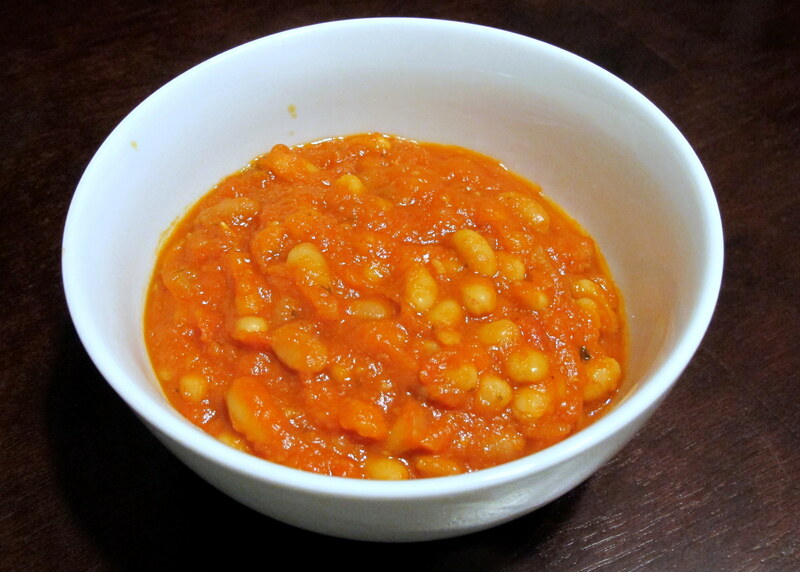 This recipe uses canned diced tomatoes, which are minimally processed. This is a good guide as to how to recognise safe or potentially unsafe tomato products. The onion and garlic with which you infuse the oil to begin with should not impart too many fructans to the meal, as fructans are water soluble, so should not dissolve in a lipid such as olive oil. Preheat the oven to 150 C/300 F and make sure you use a dish with an oven proof lid. Saute the garlic and onion in the olive oil until fragrant and then remove them from the pot and discard. You can skip this step if you can’t tolerate even infused oils and add in a pinch of asafoetida powder instead, if you have it. Of course, if you can tolerate onion and garlic then go ahead and leave them in the pot. If you are adding in the optional veggies, you will need to cook them until they are soft enough to puree. Add in the herbs, FF stock and the diced tomatoes and let it simmer for 5 minutes then use a hand blender to puree the lot; it shouldn’t take too long. Now you can add the beans, salt and pepper and combine everything thoroughly. Bring the pot to the boil, let it simmer for 10 minutes and then put the lid on and place it in the oven. Bake for 2 1/2 to 3 hours, stirring every 30 minutes or so. They’re not baked beans without being baked, right? 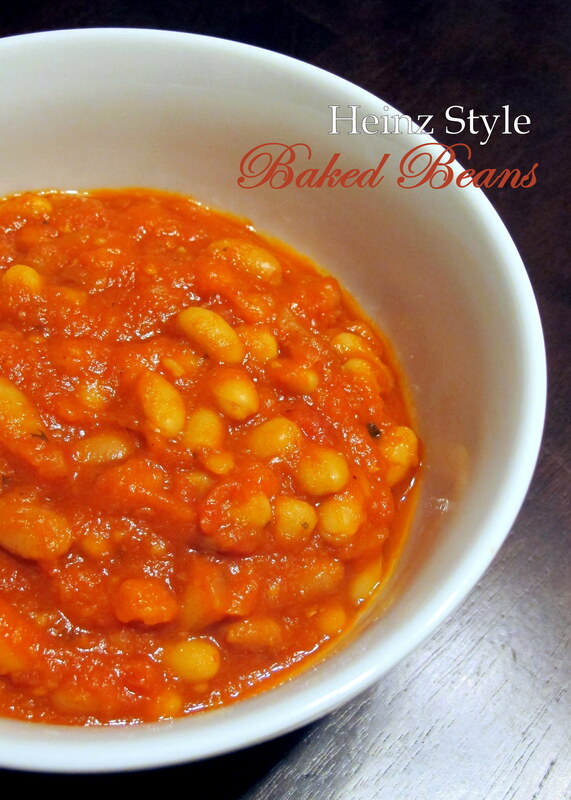 You can enjoy these as is, with some grated cheese on top, or as “beans on toast.” We like them any way we can get them. The following recipe is quick and easy, and uses a simple chili sauce to give the flavours a little oomph. The first time we made it was early on in Ev’s stint as a vegetarian, and we boiled (for 10 minutes) and cut up two corn cobs into 2 inch chunks before stir frying them with the rest of the veggies. He coined the phrase “vegetarian ribs” for the corn cobettes and it has stuck. 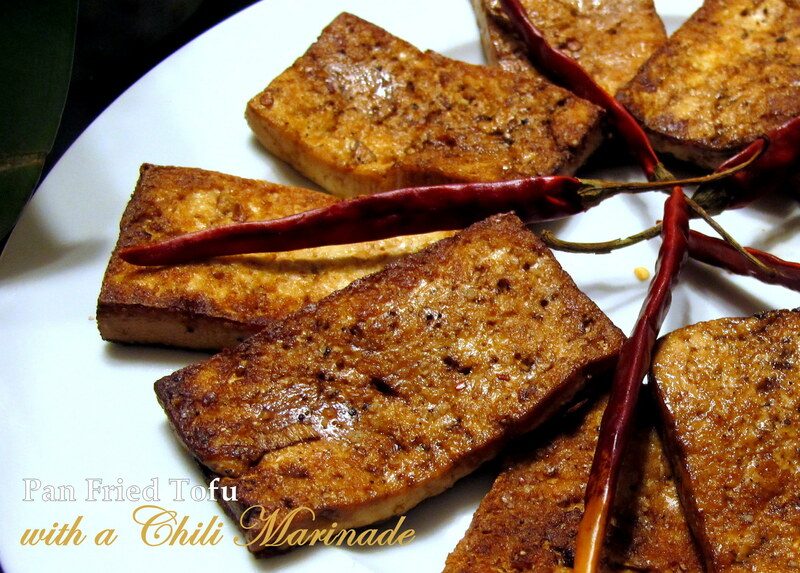 For this post I omitted the corn – as I know that many of you following a low FODMAPs diet have issues with it unless it is in meal or starch form – and replaced it with the tofu. 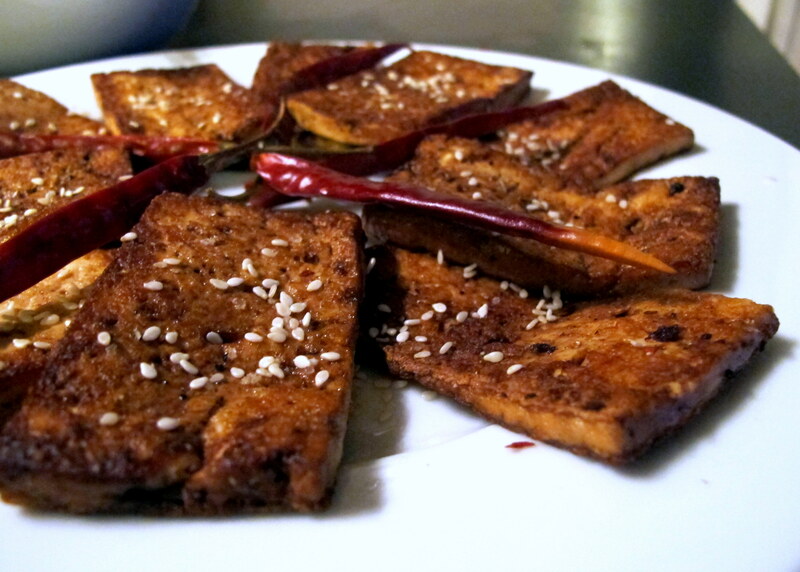 If you want to add the corn back in, rather than/as well as the tofu, then feel free. If you use castor sugar, 4 tbsp. should be plenty. Dextrose is less sweet than sucrose, so you might need to add a little more to taste. You can play around with ratios in this sauce, as in any sauce, to make the flavour combinations you prefer best. If you wish to try the original version I mentioned, with sweet corn on the cob, please be aware that sweet corn contains polyols, so it might trigger your FM symptoms. 1″ freshly minced ginger – approx. 2 tsp. Firstly, place all your sauce ingredients in a jar – with a well fitting lid – and shake until they are combined. 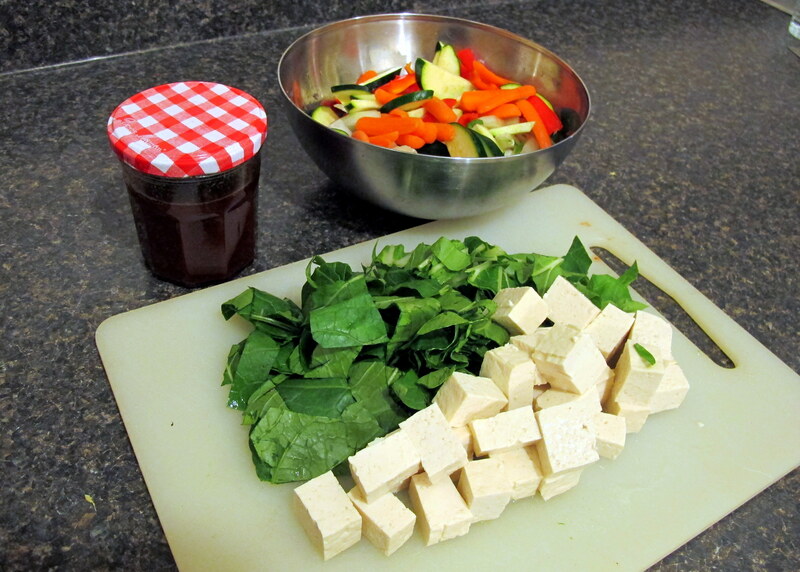 This might take a little effort to combine the cornstarch properly – I find that adding the cornstarch into the half of the soy sauce and stirring vigorously, before any of the other ingredients are added in, is a faster process. Begin cooking your rice as per the instructions on this page. 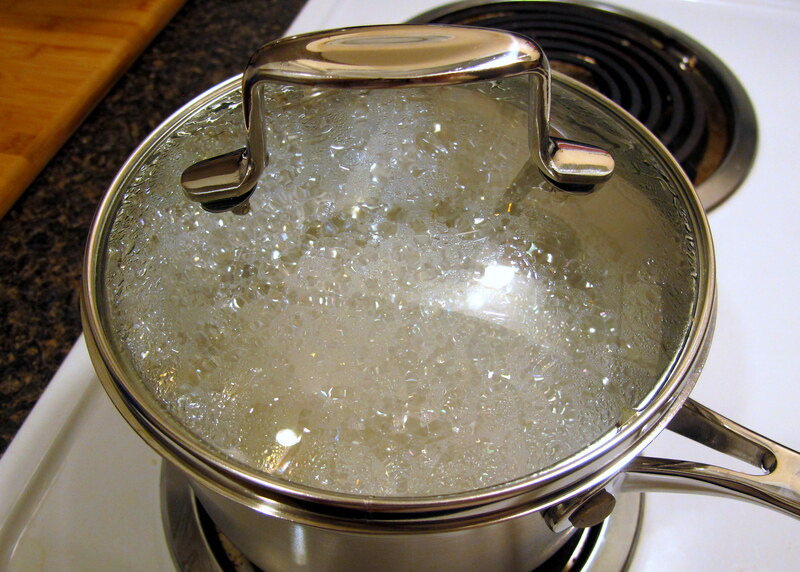 You can use a rice cooker if you have one – we have had rotten luck with rice cookers and the best rice we have made has only been since our rice cooker died 2 years ago. This cooking process takes 30 minutes, so get it going early to avoid a delay later on. 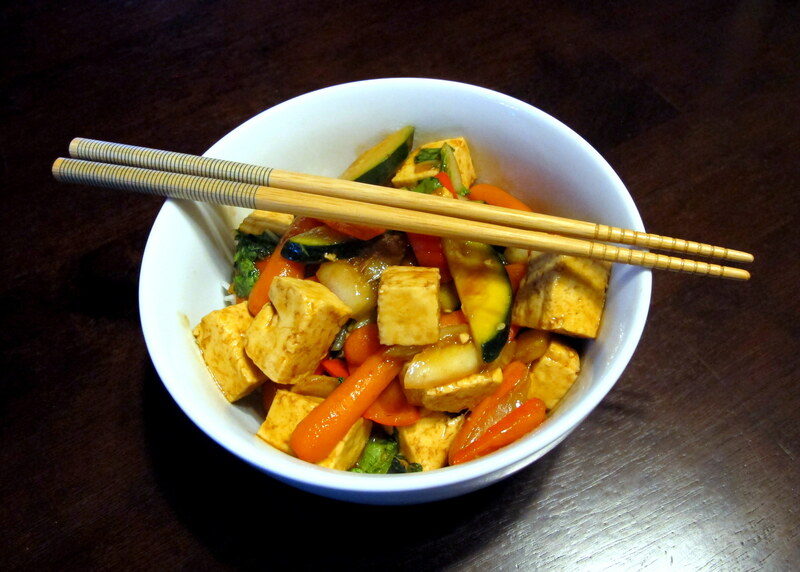 Now that your rice has started cooking, dice the zucchini, capsicum and the tofu into 1 inch chunks, and julienne the carrots so that they are appropriate for chop stick use. Slice the bok choy so that you separate the stalk from the leaves. Dice the stalks into 1 inch chunks and the leaves into strips. Sit them aside. 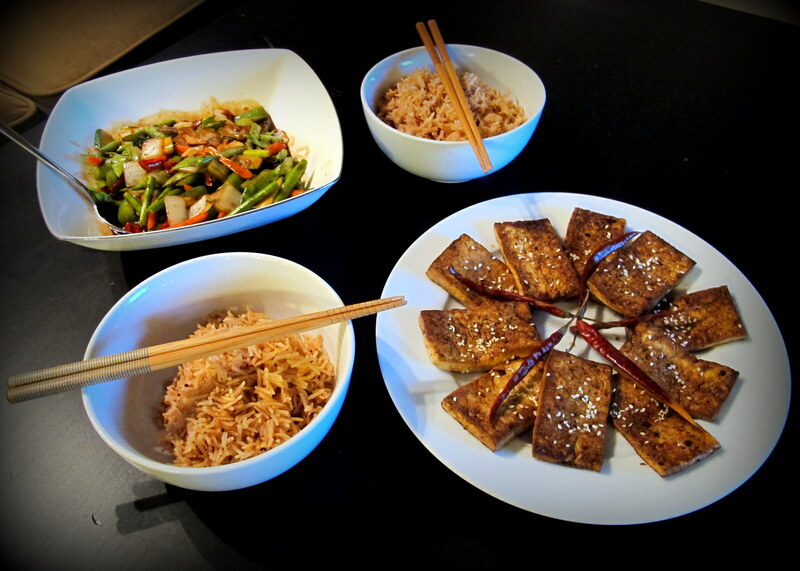 You should begin the process of cooking the tofu/veggies when the rice only has 10 minutes left, otherwise you will have either cold rice and hot vegetables, or vice versa. Seal a saucepan (or a wok if you have one) with olive oil and quickly sear the vegetables over a high heat. Stir frying is all about cooking quickly over a high heat, rather than stewing slowly over a lower heat. 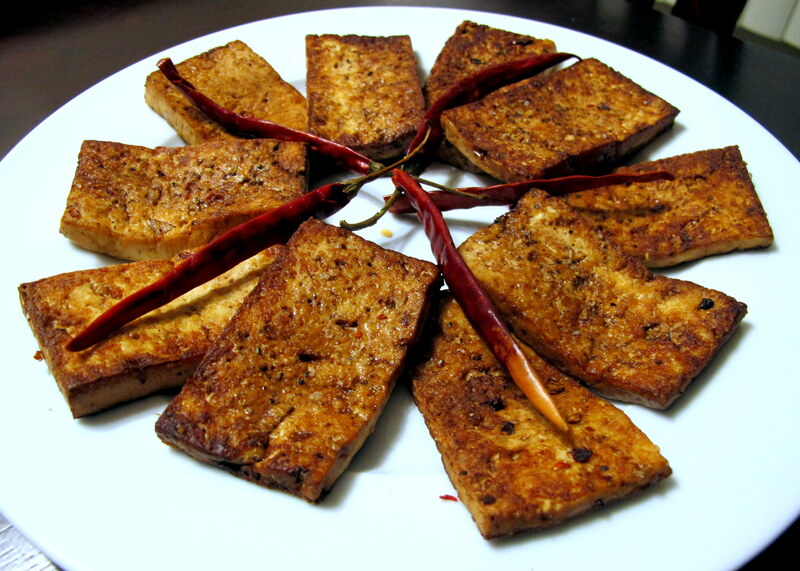 After a minute, add in the chili sauce and tofu continue to cook for another minute, slowly folding the sauce and tofu through – tofu requires gentle handling and it shouldn’t take long to begin to thicken, once the heat activates the cornstarch. Once you see it thickening, remove the dish from the heat and add in the bok choy leaves, mixing through. If you have timed it correctly, the rice should also be done. Perfect! If your vegetables are a little too well done – i.e. they don’t retain much of a crunch – then don’t worry. It can take a little practice to get this right and not be worried about the veggies not being fully heated through. Mine still don’t turn out perfectly every time, so stress less. Practice makes perfect, even for something as simple as stir frying veggies. If you want the sauce to be much thicker, then pre-thickening it in a small sauce pan would be the way to go. Bring it to the boil and simmer until it visibly thickens, before removing it from the heat and setting it aside to wait for the veggies. 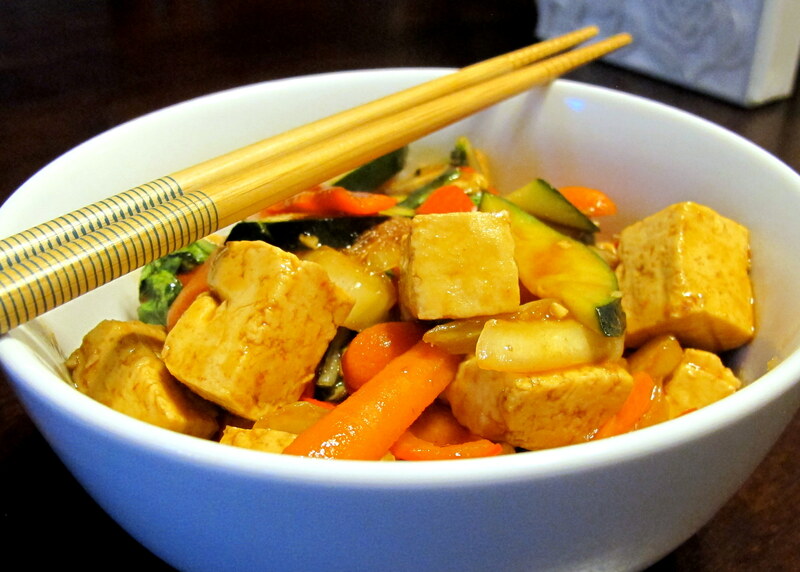 Pour the vegetable and tofu mix into a serving dish and give everybody a serving of rice in a bowl. People can then take what they want with their chop sticks – this prevents the rice from getting soggy if too much sauce soaks in. 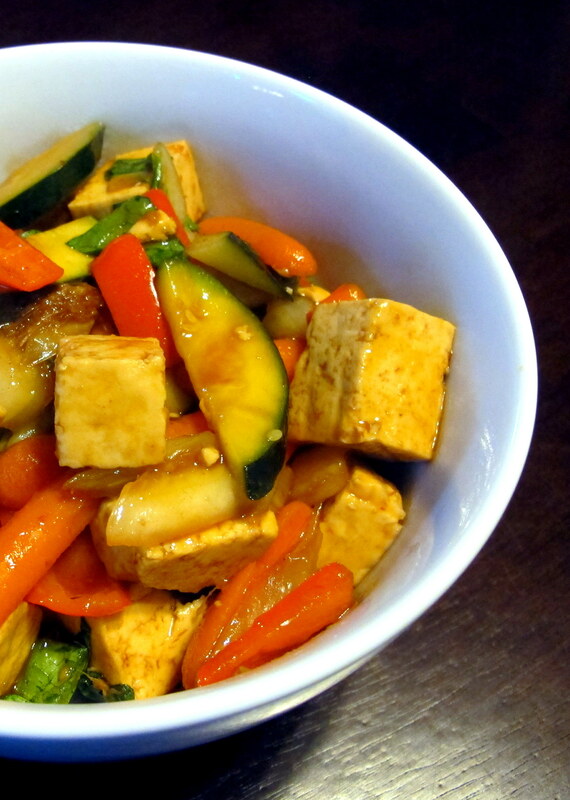 Place a serving of rice in a bowl and top with vegetables/tofu. 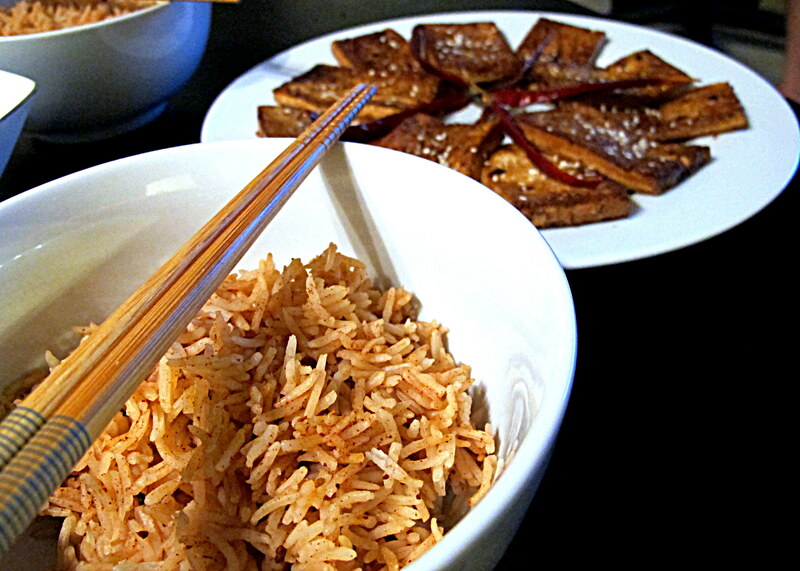 Just make sure you don’t let too much extra sauce go in or the rice will get too mushy for easy chop-sticking. You can see I chose option #2, because I was photographing it – we normally would go with option #1.